Nelle Harper Lee, the author known for her monumental work To Kill A Mockingbird, has died. She was 89. Lee’s landmark book, a permanent fixture in most school curricula, is an indelible touchstone of Americana, to say nothing of its excellent qualities as a novel. In his review of Go Set A Watchmen for The New Yorker, Adam Gopnik wrote, “Harper Lee did for Maycomb (her poeticized version of her hometown, Monroeville, Alabama) what J.D. Salinger did for Central Park—made it a permanent amphitheatre of American adolescence. One realizes with a slight, shamed start that we would now condescend to this kind of effort as belonging merely to a Y.A., or young adult, novel.” The fact that many first encounter her book at a young age means her lyrical writing imprints itself that much more firmly upon the still-developing psyche. Lee was born in 1926 in Monroeville, Alabama, where she grew up the youngest of four children. She developed a penchant for literature in high school, and stayed in the South to attend college, first at the all-female Huntingdon College in Montgomery, then transferring to the University of Alabama, where she wrote for the school newspaper. However, she never finished her degree, and in 1949 Lee moved to New York City, where she wrote fiction in her spare time. Though the subsequent controversial publication of Go Set A Watchmen has seemingly muddled some of the traditional narrative involving her early time as a writer, her friendship since childhood with Truman Capote impacted both writers heavily. The character of Dill in Mockingbird was inspired by Capote, and Lee accompanied Capote during his travels for what became In Cold Blood, as well as becoming the basis for a character in Capote’s first novel, Other Voices, Other Rooms. But Lee’s place in history was secured by the publication of her first—and, for a long time, only—novel, To Kill A Mockingbird, in 1960. Released to critical acclaim and popularity, the book won the 1961 Pulitzer Prize for Fiction. More than 30 million copies of the book have been sold, and it has been translated into 40-plus languages. 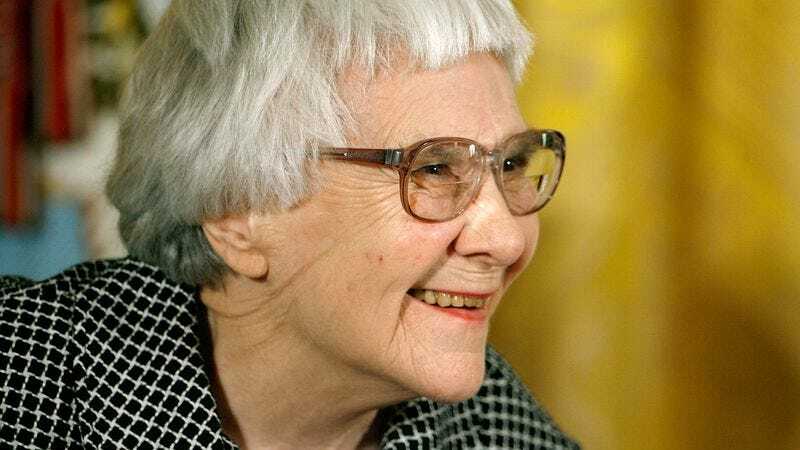 The runaway success brought great wealth and attention to Harper Lee; the book continues to sell nearly 750,000 new copies each year on average. Despite publishing several short essays, Lee essentially retreated from public life, refusing most requests for interviews or public appearances. It wasn’t a Salinger-esque vanishing act, though: She accepted an appointment from President Lyndon Johnson in 1966 to the National Council on the Arts, and would occasionally make public statements, especially on the importance of literature and free speech. In 2007, President George W. Bush awarded Lee the Presidential Medal Of Freedom, and in 2010 President Barack Obama presented her with the National Medal Of Arts. In later years, however, the author’s failing health led many to question her capacities, especially after a 2013 lawsuit accusing her agent of exploiting her condition and transferring control of her copyright for the book to a company he controlled. That lawsuit seemed more relevant than ever after her lawyer Tonja Carter discovered the manuscript of Go Set A Watchmen, and coordinated its publication, which many say could not have been assented to by Lee in her infirm condition. The fact that the details surrounding the manuscript seemed to change over time only deepened suspicions. Nonetheless, the book was published in 2015, revisiting the same town and characters of the original story, decades later. And despite its less-than-enthusiastic reception, there are still many lovely passages that evoke the gifted prose so effortlessly conveyed in To Kill A Mockingbird. And while Gregory Peck’s Oscar-winning portrayal of Atticus Finch may be many people’s mental image of Scout’s father, the depiction of Southern small-town life as seen through the eyes of a young girl, and the trial of a black man that forms the heart of the narrative, is one of the great stories of U.S. literature. The author’s output may have been small, but her contribution to American letters is massive.